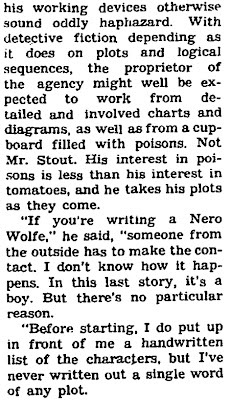 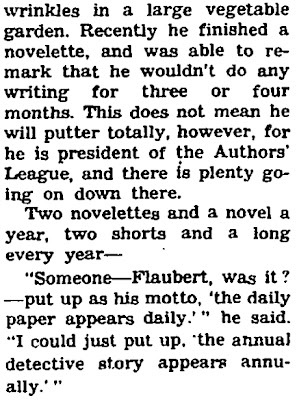 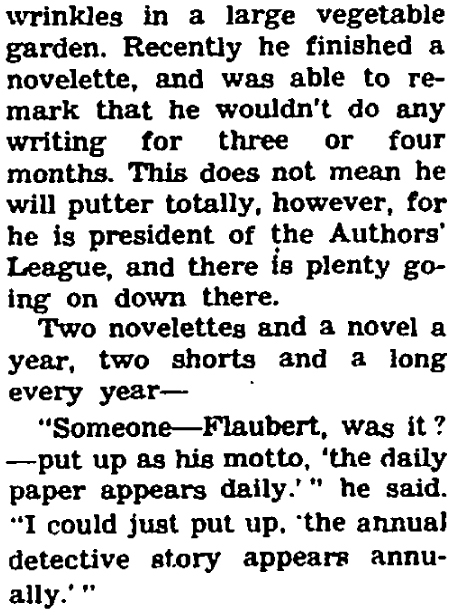 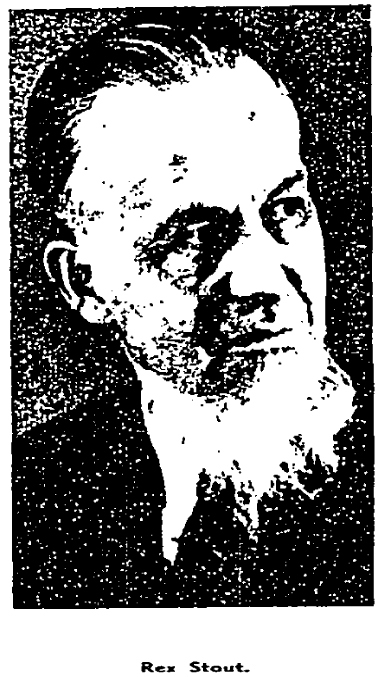 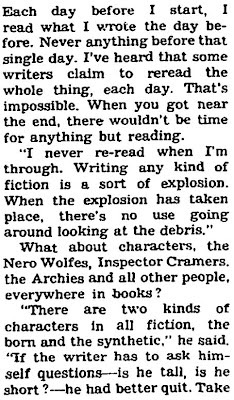 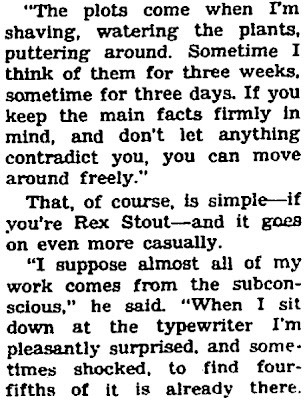 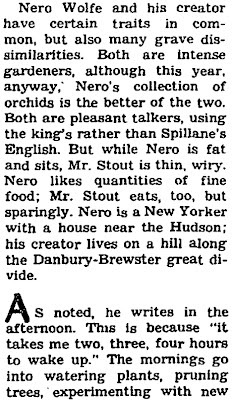 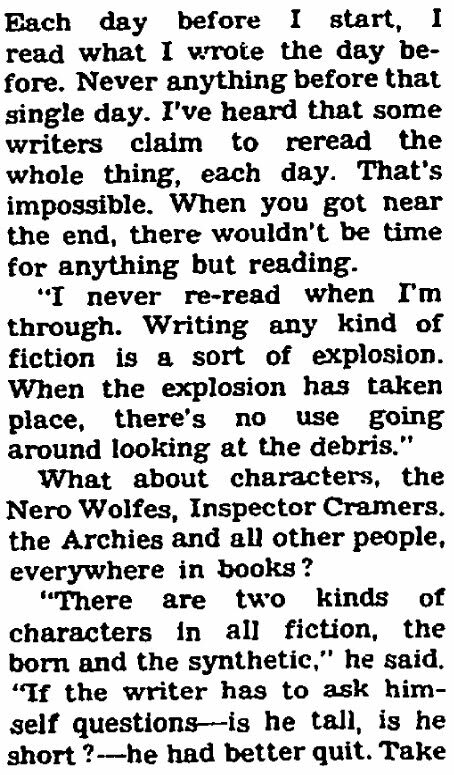 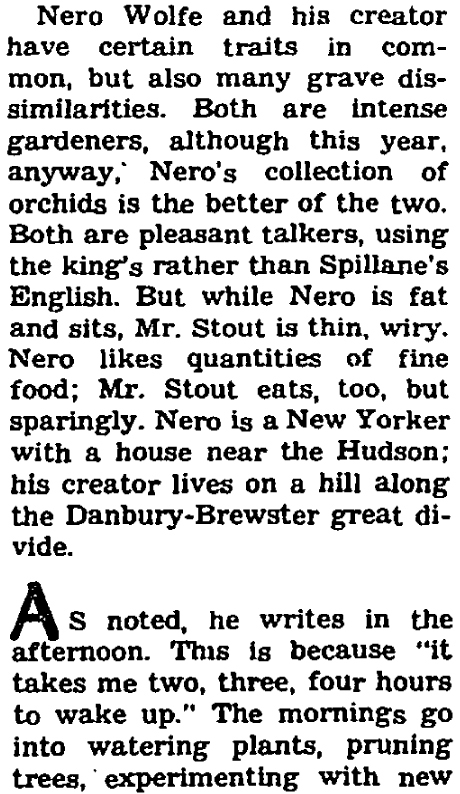 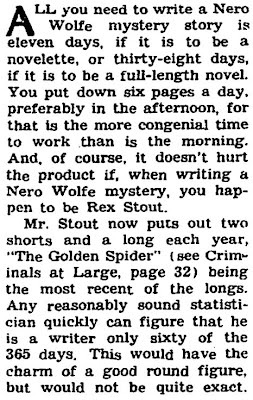 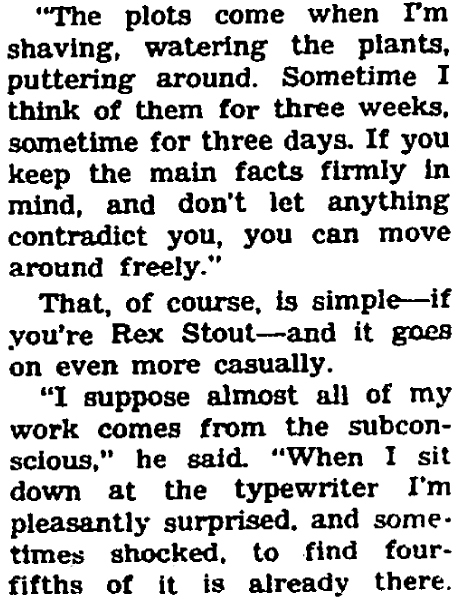 "Talk With Rex Stout," by Lewis Nichols, New York Times, November 15, 1953. 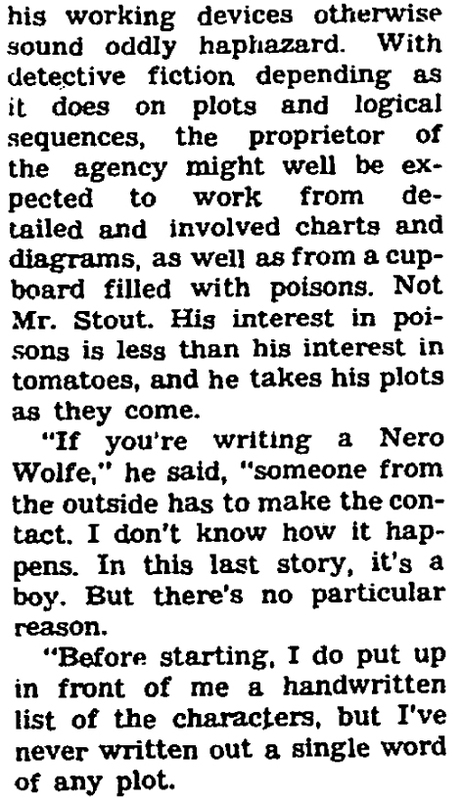 "As to Nero Wolfe, himself, was he suggested by anyone? 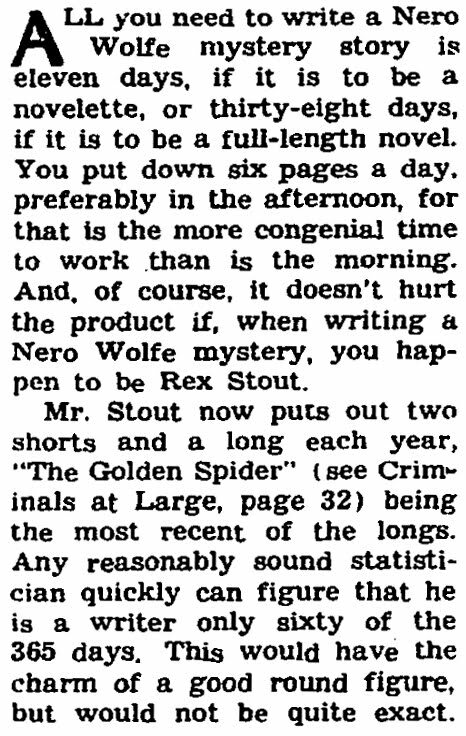 This is the $64 question, and it is inevitable and Mr. Stout probably is sick of hearing it."